And I bought a skein of sock yarn on line. Like I need more sock yarn…. but it’s SO pretty! I guess I’ll count it as an early Ayyam-i-Ha present to myself. 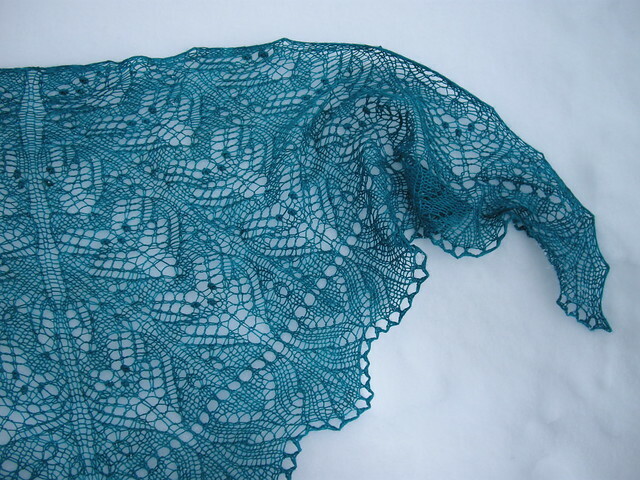 So much for the YARN diet…..
…knitting a shawl – I mean after all *I* was the one who suggested the KAL right? Have I cast on? NO! Though I did go out and BUY more laceweight yesterday…… I don’t think that counts however. So what am I knitting instead? The hat for my brother-in-law? No! The slippers for my twin nephews? No! The slippers for my dear friend that I promised her 18 months ago? No! Completing the 3 swaps I have left over – email ones that are super easy? Finishing any one of way too many unfinished projects? No way. That would be too sensible. I am knitting mittens for myself. Out of a pattern that is really fun to knit out of fairly inexpensive yarn in a colorway I only kind of like. I’ve actually frogged the first attempt (didn’t like that colorway knitted up) and started over. True, I do need new woolen mittens; I’ve mislaid my fabulous purple ones gained in a mitten swap and the store bought ones aren’t cutting it. But this pattern isn’t even the one I wanted to make mittens for myself out of. It’s lovely – Tallulah’s Hearts for you Ravelers – but I was gonna do something much harder (Latvian? Estonian? Finnish? My own design?) with some truly amazing yarn…… Does this make any sense? Well, only if you know that I have a rebellious nature at my core. I’m tryna keep to Studmuffin’s and my New Year’s resolution to get fit this year, which includes dieting/lifestyle change. I’m doing pretty well so far BUT – I’m hearing a whole lot of “I don’ wanna! 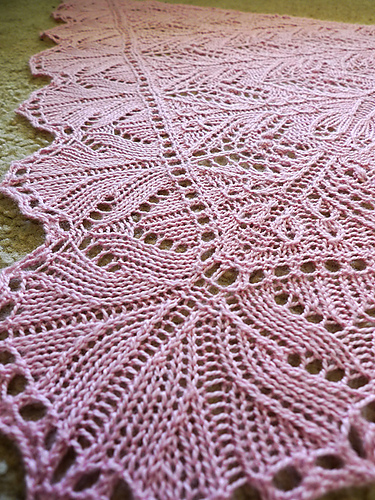 !” in my head about other things…like knitting this shawl. Who am I hurting with my behavior? ME! Urrgggh. I get so sick of myself sometimes. I think it’s kind of like not reading the novel you signed up for in class even tho’ the due date for the exam is looming, and spending all your time reading romance novels instead. On another tack, I look forward to the hot flashes when the weather’s like it is in winter.